As the bright blooms of spring begin, one hue finally dominates the landscape around Susan’s studio in the Utah mountains: green. Susan is well accustomed to this annual shock of strong alpine color and has incorporated summer’s shade into many of her earlier works. Even so, a lifetime of mountain springs and ocean summers could not have prepared her for the particular and verdant hues of green that are native to Ireland. 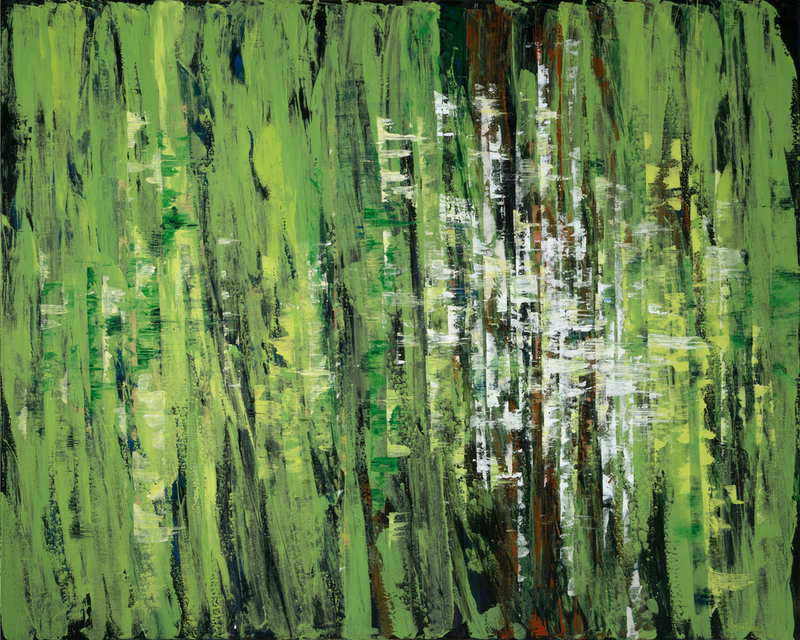 Returning last autumn from her solo show at London’s Belgravia Gallery, Susan stopped in the Emerald Isle. While her visit was short, the impact was deep. 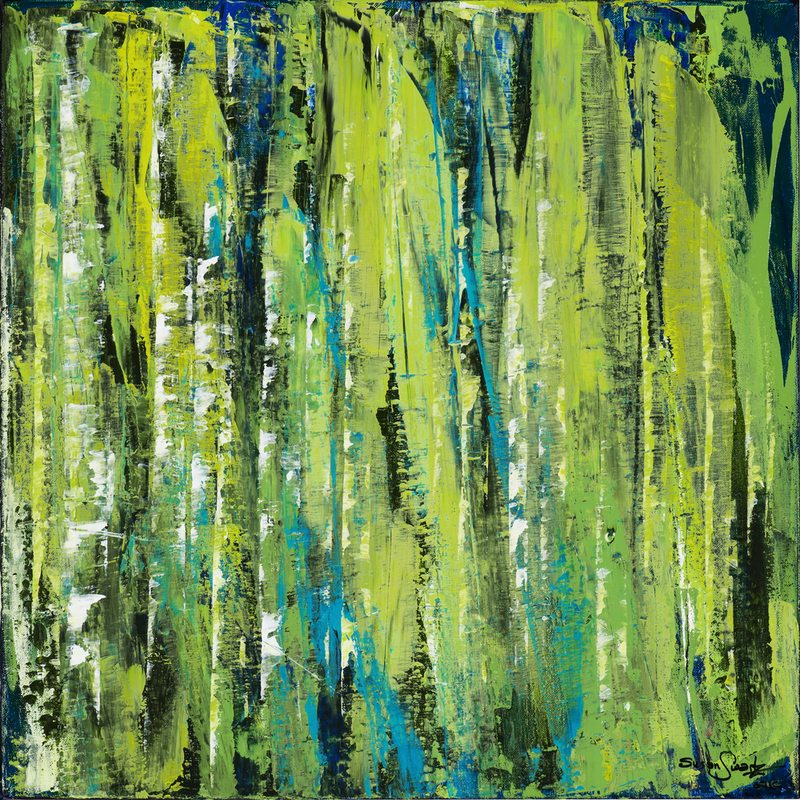 In the following months, Susan was moved to create five different pieces — Nature’s Mirage, Azure Glen, Emerald Glen, Emerald Spirit and Untitled 020 — all inspired by the depth of those cool, damp greens. Now a final burst of green has emerged on her canvas, Albion Pass II, as Susan remembers the spectacular blooms of a summer in Alta.